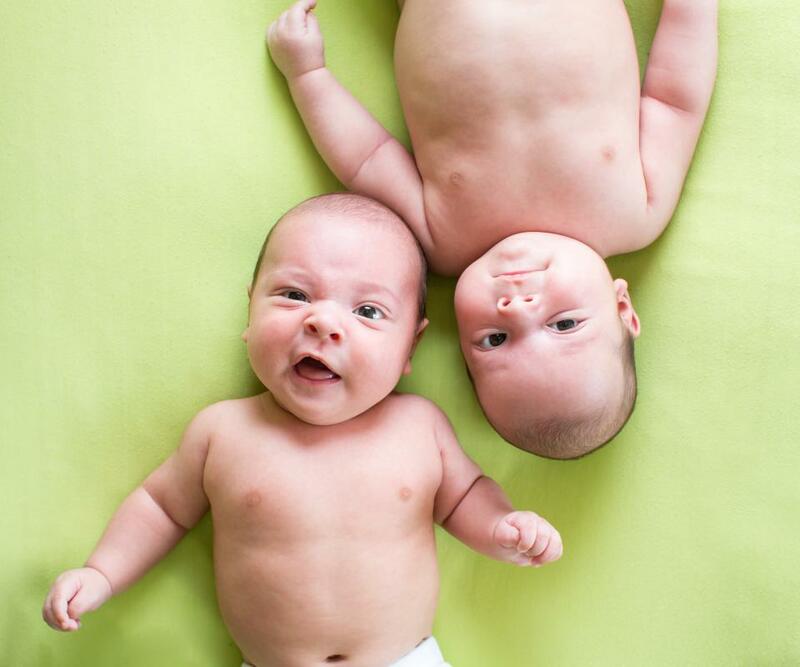 What Should I Know About Breastfeeding Twins? Breast feeding provides a nutrient-rich diet for newborns and has many health benefits for the mother, as well. Twins should be breastfed both together and individually. Every parent knows that doctors recommend breastfeeding your children for the first year of life. Breast milk provides all the necessary nutrients for proper brain development and a strong immune system. Because twins are often born prematurely and with low birth weight, breastfeeding is especially important. Unfortunately, breastfeeding twins can also be very difficult. It is possible, though, if you learn the different positions to use and find one that accommodates you. The football hold is the most popular position used when breastfeeding twins. This position involves holding the babies on your forearms with their heads in your palms. Their legs extend behind you with one leg on each side of your arm. Hold your hand upward until the babies are able to latch on. Place a pillow under the babies or use a nursing pillow so that your arms don't tire too quickly. Another popular hold is the cradle hold, which involves breastfeeding each baby in the standard position with their legs pointing inwards. Their bodies will cross over each other but they usually don't mind, as they were cramped together in the womb. It is recommended to use a pillow in this position as well, so your hands are free to adjust the twins as necessary. You can also change it up and put one baby in each position. Twins are still individuals and will have preference as to how they like to be held. In the beginning stages, try to have an extra person around to help you pick up or position the babies. Whenever possible, try to breastfeed each twin individually, at least once a day. This gives you the chance to hold each baby close and bond with him or her as an individual. A good rule of thumb is to breastfeed them together 80 percent of the time, and individually 20 percent of the time. Of course, life takes its course and it may not always be possible. Mothers of multiples are very busy women. Because of this it is best to keep your babies on the same feeding schedule. When breastfeeding twins at the same time, it frees you up to do other things, such as feed yourself, shower and pick up occasionally around the house. To encourage your babies to eat at the same time, wake up the sibling when one twin wakes up to eat. Eventually, it will work out so their hunger pangs are in sync. It is always recommended to keep the number to La Leche League handy for any problems you may stumble across. They are a free resource for breastfeeding moms and understand the demands of breastfeeding. How do I Choose the Best Breastfeeding Shawl? What is a Breastfeeding Poncho? What are the Best Sources of Breastfeeding Help? What are the Best Tips for Breastfeeding? How do I Deal with Breastfeeding and Teething? Should I Take Laxatives While Breastfeeding?